Wed., Jan. 3, 2018, 11:06 p.m.
From Arctic blasts of cold and snow to persistent heat and wildfire smoke, 2017 was a year of glaring weather contrasts for Washington state. Last January, Brrrr was the word. The year opened with a big freeze that encased the Pacific Northwest starting on Jan. 1. Here in the Inland Northwest, unusually cold, dry winds pushed temperatures to minus 3 in Spokane and minus 6 in Moses Lake and Colville. On Jan. 3, it got so windy that the National Weather Service issued a wind chill advisory. While we wouldn’t have batted an eyelash if living in Chicago or Wichita, Kansas, frigid weather accompanied by strong winds is unusual for this region. The top wind gusts for the month measured at 32 mph – strong enough to create remarkable snowdrifts across our landscape. Overall, we endured seven mornings of temperatures below zero, contributing to make the first month of 2017 the coldest January in 38 years. With thick coatings of snow and ice, February resembled a scene from the animated film “Frozen.” By Feb. 1, snow had covered the ground for 55 days in a row. A snowstorm that blew in on Feb. 3 blanketed the region with 7-12 more inches. Less than a week later, a surprise overnight ice storm forced the closure of schools and businesses due to hazardous icy roads and sidewalks. 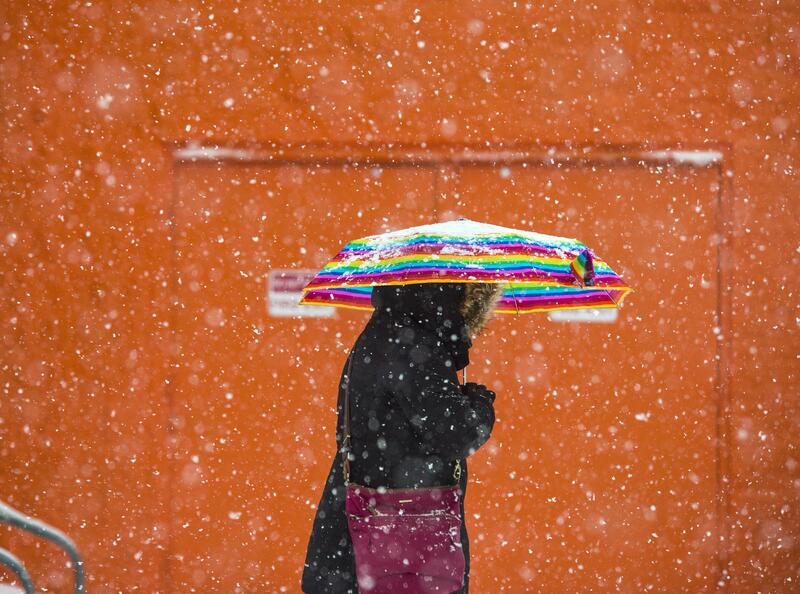 By month’s end, snow and freezing rain delivered 4.39 inches of precipitation to the area — the most seen in February since 1940. Where winter resembled the Midwest, our summer seemed like the Southwest. June through August marked the third hottest summer on record. Among other things, the region went 15 days in a row with temperatures in the 90s. The prior record of 14 days was set back in 1894. Additionally, no measureable rain fell for more than two and half months, challenging a 73-day dry spell that occurred in 1917. Not surprisingly, the prolonged heat and drought conditions resulted in multiple wildfires in nine Western states, including Washington, Idaho and Oregon. In early September, a massive smoke cloud formed from fires in every direction parked itself over Washington state. On Sept. 6, thick smoke turned our skies the color of campfire ash and the state issued air-quality alerts warning people to stay indoors. Though the dry stretch ended in mid-September, October saw less rain than usual, closing the month with under 2 inches. Compare that to the historic 6.22 inches that pelted Spokane in October 2016. That rainfall amount was the most to hit our area during any month – ever. Another extreme weather event occurred on Nov. 17, 2015, when hurricane-force winds pummeled the Inland Northwest, tearing down power lines, toppling trees and damaging homes. Which goes to show, our region’s 2017 weather could have been better, but it also could have been worse. Published: Jan. 3, 2018, 11:06 p.m.